Many people dream about starting their own business, but if you’ve taken the plunge and joined the resurgence of entrepreneurial spirit currently taking place in the UK, it’s essential you market yourself effectively, network successfully and manage your accounts efficiently. Beginning your start-up with minimal investment or running a small business that is generating a small amount of revenue are great challenges for business owners. Business owners often need help and advice when they are faced with different challenges, but find it hard to decide which direction will take them on the correct trajectory. 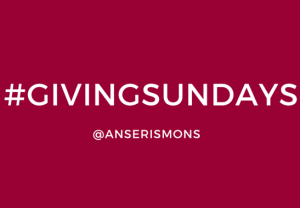 In order to help, I have decided to start an initiative called Giving Sundays. This is my company’s way of giving something back to the community it serves. After all, no matter how small or big we are, we can always make a real difference through contributing towards the overall wellbeing of others locally and nationally. Under this initiative, I will be giving away all of my Sundays in the New Year to work with such businesses to help them develop and grow by providing completely FREE business management and consultancy services. Initially, I will be working with three businesses from Birmingham, UK, by spending one hour every Sunday with each throughout 2016. With 52 Sundays in the year, this means that each business will receive 52 hours of FREE business management consultancy during the year to help them grow their business and reach their objectives. This scheme is available if you are a start-up with little investment or a small business with a turnover of up to £100k per annum with an aspiration to grow. If you would like to receive our FREE business management consultancy services, get in touch by completing ‘Giving Sundays Contact Form’ on this page. Please note, this is a completely free service and all we ask in return is a voluntary pledge for you to help three other small businesses or start-ups, in whatever way you can, by the end of the first year of our engagement. This means we will spread the good will, and create better and thriving businesses within our communities. If you are unable to make the pledge, we’re still happy to engage with you should you apply for our FREE business management consultancy services. Another aspect of this initiative is a request of collaboration with others if our selected businesses need any help in specialist areas such as branding, marketing and PR, digital/social media marketing, legal services, accounting, recruitment etc. Please e-mail your interest at zeeshan.masood@anserismons.com if you or your business would like to collaborate with us to help other start-ups and small businesses. This is our world and it is beautiful. Let’s make it a remarkable place to live by helping and serving others. I wish you all a super year ahead!